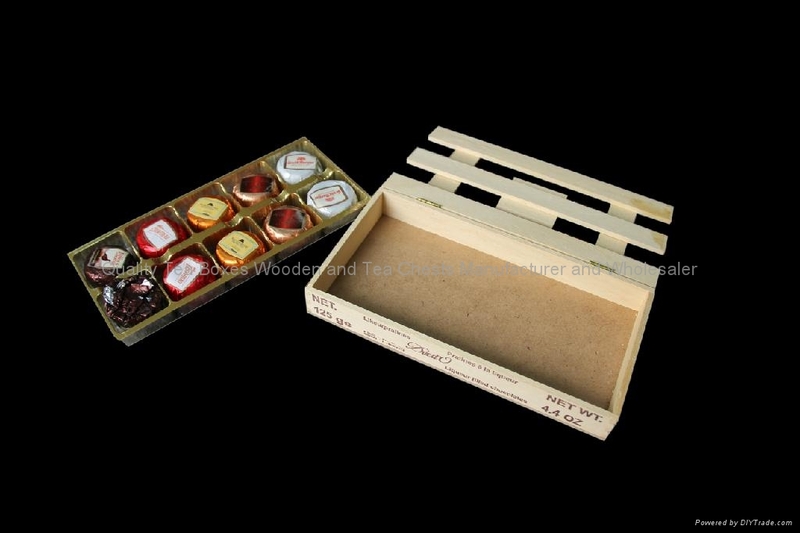 This natural unfinished chocolate wooden boxes is made from solid wood. 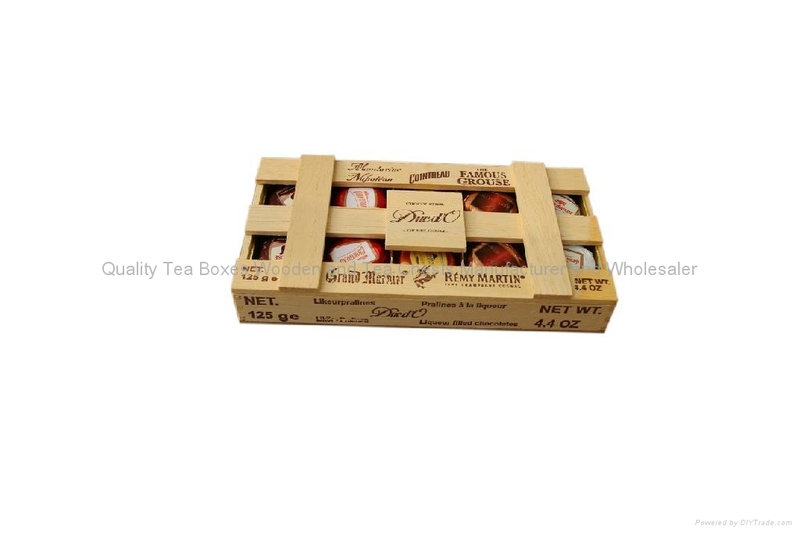 With the hinged lid, the box is much easier to carry. 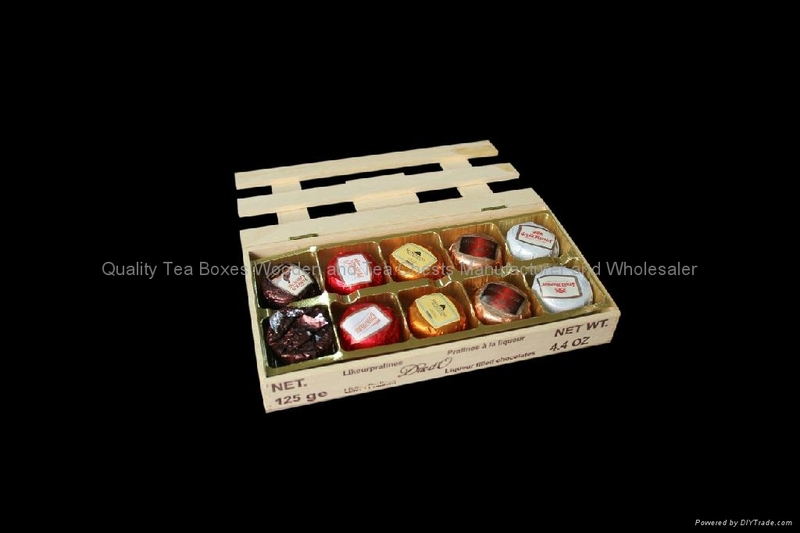 Customers logo and chocolates information is colorful printed onto the box. On the uppe wood piece, we could engrave customer's main logo as well. The whoe box is silk smoothy sanded. Inside has plastic tray to hold the chocolates.